As an agency that prides itself on inbound marketing it’s not intuitive for us to write about how great we are. In fact, it has taken me a couple of weeks to feel comfortable with the language in this post so as to not sound like we’re a bunch of braggarts. We educate our readers and prove our value with in-depth articles on an array of topics spanning digital marketing, ecommerce, sales enablement and web development and those articles also prove that we know what we’re talking about. Sometimes though, others brag about us. When that’s the case, we figure it’s only right to share their perspective of us. 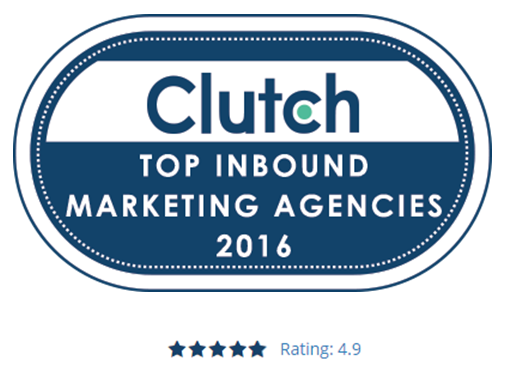 Recently we were recognized by Washington, D.C. based B2B research firm Clutch as a top inbound marketing agency. The recognition, though, is bigger than a research firm’s opinion of us. Their research came directly from our own clients' user reviews. The fact that we’re satisfying our clients to the level that we are is the reason we’re proud to celebrate our recognition and success with the world. 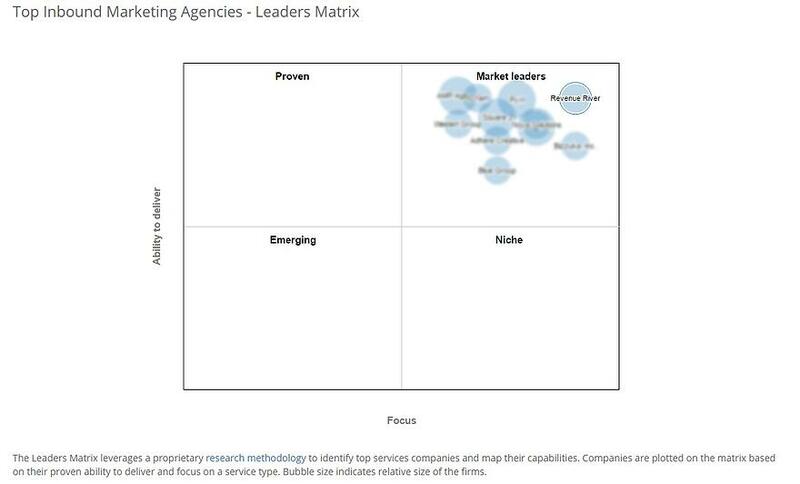 Analysts at Clutch took into account various qualitative and quantitative factors when evaluating agencies. Some of those factors include client reviews, past experience, industry recognition, market presence, and focus on various types of inbound marketing services. Services include content creation for blogs and social media, email marketing campaigns to grow lead possibilities, PPC, and general SEO work to improve a website’s presence online. "The design that Revenue River was able to come up with and execute set them apart." "The way Revenue River integrates everything is very useful and probably why we're seeing not only an increase in calls but an increase in calls that convert to sales." "Revenue River Marketing is really good. First of all – and this counts for me – they’re very nice, flexible, and responsive people... I’ve gotten emails back from them at midnight with answers to questions that I’ve sent them at 7 p.m. that night." "We have deliverables each week, month, and quarter. Revenue River creates blog posts, content offers, and other online ads. I can’t think of a month where we’ve ever missed those goals." Chat with us about your next project. Even if you just get a little direction, you certainly have nothing to lose. Click below to schedule your strategy meeting. Every Digital Marketer's Dream: Going Viral - Here's How!